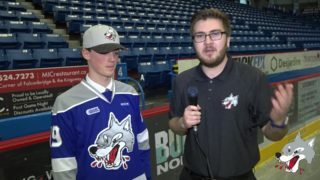 The Sudbury Wolves welcomed the high-flying Sarnia Sting Friday night, who entered the tilt sitting first in the Western Conference and having won nine straight games. The Wolves competed hard against the top team and out-shot them in the process, but couldn’t quite handle the Sting’s offense as they lost by a hard fought 5-2 final. 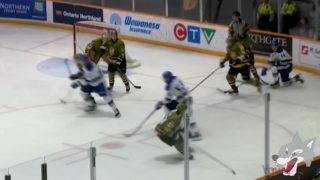 Owen Gilhula struck first for the Wolves as he hit home Cole Candella’s rebound seven and a half minutes in the first period. The goal marked Gilhula’s second of the regular season and his play earned him the fan voted Subway’s Hardest Working Player of the Game. Gilhula’s goal stood as the loan goal of the first period as the Wolves ended the period up 1-0, leading in shots on goal 13-11. The Wolves continued to lead in shots on goal throughout the rest of the game. Michael Pezzetta opened the second period by scoring on the powerplay just over a minute into the frame. Kyle Rhodes and Dmitry Sokolov both picked up assists on the play. Pezzetta had a strong showing this evening as he was present on both of the goals and ended the evening with a goal and an assist. 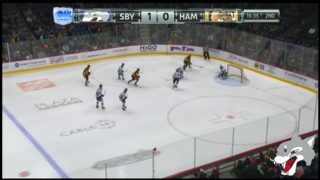 The Wolves two-goal lead did not last long as Brayden Guy scored 15 seconds after Pezzetta to put the Sting on the board. Guy went on to score his second goal of the period and Jordan Kryou added another to give the Sting a 3-2 lead heading into the second intermission. In the third period, it was the Sting who scored in the first 15 seconds of the frame as well as the final 8 seconds to seal the Wolves fate. Jamieson Rees scored his first of the season on the power play to put the Sting up 4-2. 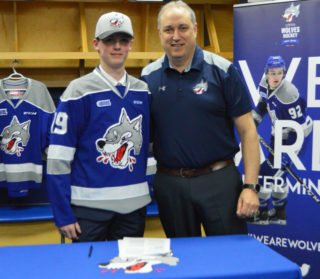 The Wolves battled hard with some good powerplay opportunities but could not solve Justin Fazio in the third period to tie the game. As time dwindled down, Hugo Leufvenius added one final goal for the Sting to end the game by a 5-2 final. Final shots on goal 43-28 in favour of the Wolves. 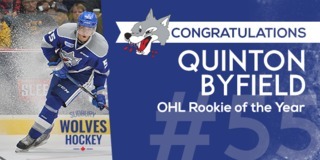 The Wolves will look to rebound Saturday night when they host the Kingston Frontenacs at 7:05 pm at the Sudbury Arena. 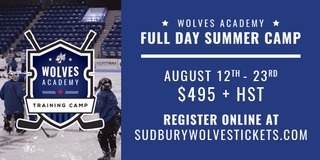 Fans can purchase their tickets for the game online at greatersudburywolves.com/tickets, or at the Sudbury Arena Box Office.